Rusty Staub knocked in five runs for the New York Mets in the fourth game of the 1973 World Series. When David Wright knocked in four runs during game three of the 2015 World Series, it brought back memories of a name in the history of the New York Mets. Wright’s four RBI was the most by a Mets player since Rusty Staub had five in a contest. 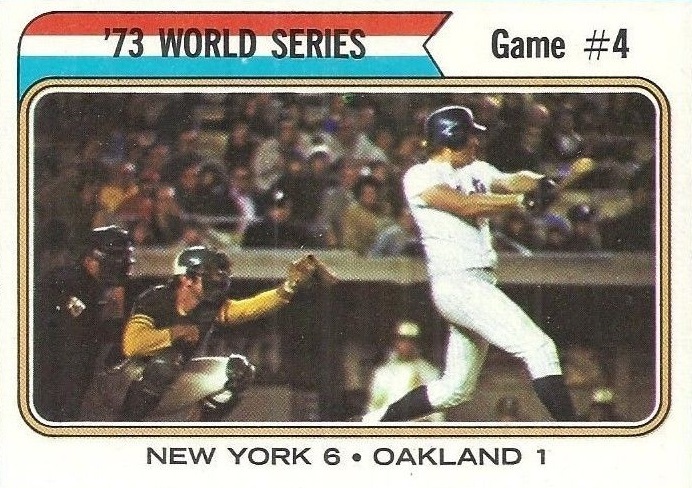 It was the fourth contest of the 1973 World Series and the Mets trailed the Oakland A’s two games to one. Like Wright, Staub hit a homer in the first inning. After Wayne Garrett and Felix Millan singled to begin the game, Staub gave the Mets a 3-0 advantage with a blast off Ken Holtzman. The A’s picked up an unearned run off New York starter Jon Matlack in the top of the fourth, but the Mets answered in their half of the frame. After an unearned run had the Mets on top 4-1, Staub added a two-run single to make it 6-1. Staub added two more singles as the Mets went on to win 6-1 as they evened the series at two games apiece. The Mets won game five 2-0 to take the lead in the series, but the A’s returned home to sweep the last two contests claiming their second of three straight titles. Staub ended the series with a .423 batting average with 11 hits. He had the one homer and knocked in six runs. Staub played in four of the five games in the National League Championship Series as the Mets beat the Cincinnati Reds. Staub had only three hits, but all of them were homers. He had a solo shot in the second affair for the Mets first run in a 5-0 at Cincinnati. In the third game at Shea Stadium, he hit two long balls and knocked in four runs in New York’s 9-2 win. Staub was a 19-year old rookie when he began his career in 1963 with the Houston Colt 45s. He played in 150 games with six homers and 45 RBI to go with a .224 batting average. By 1967, Houston had changed its nickname to the Astros and Staub became an all-star for the first time. He finished the season with a NL best 44 doubles, while hitting .333 with 10 homers and 74 RBI. 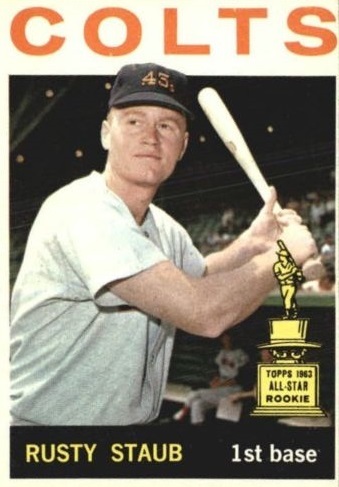 After another all-star season for the Astros in 1968, Staub was traded to the Montreal Expos in January of 1969 for Jesus Alou and Donn Clendenon. Clendenon refused to report to the Astros and would eventually be moved to the Mets where he became the Most Valuable Player of the 1969 World Series. From 1969 to 1971, Staub put together three straight all-star seasons with 78 homers and 270 RBI, while hitting .296. Before the 1972 season, the Expos shipped Staub to the Mets for Tim Foli, Ken Singleton and Mike Jorgensen. He was with the Mets until 1975. Staub was a part of the four-player trade after the 1975 season between the Detroit Tigers and Mets as he and Mickey Lolich changed teams. With the Tigers, Staub started for the American League in the all-star game. During the 1979 season, Staub was sent back to the Expos. He later played with the Texas Rangers and returned to the Mets in 1981. He ended his 23-year career with the Mets in 1985.